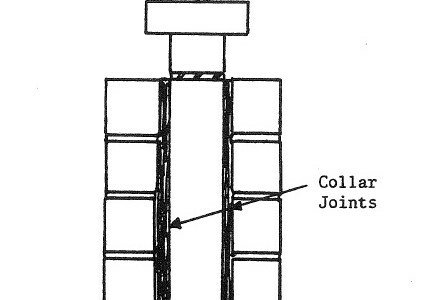 Composite structural action can only be obtained in multiwythe masonry wall construction if the masonry wythes are adequately interconnected and full shear transfer occurs across the collar joint. The filling of a collar joint by pressure injected grout through one of the masonry wythes is one possible method of providing full shear transfer between masonry wythes which were not originally adequately interconnected. Test results on several masonry prisms constructed in the laboratory with open collar joints, which were subsequently grouted using pressure injection, are presented. 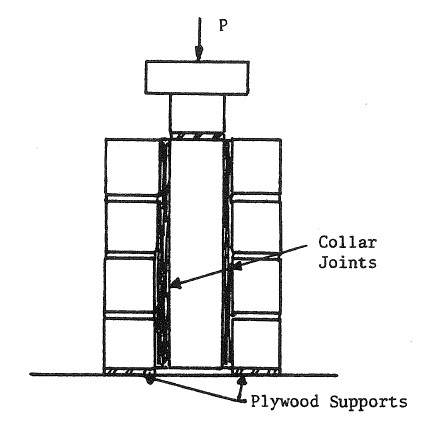 The test results provide average shear capacity values along the collar joints that compare favorably with existing allowable stress values for grouted collar joints (Building Code Requirements for Masonry Structures, 1992).